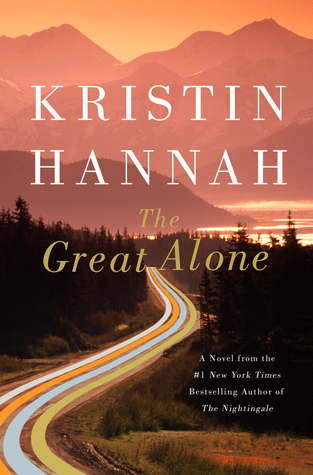 I'm having some technical difficulties sharing excerpts from my current read, The Great Alone by Kristin Hannah, as you may be able to tell from the formatting of this post. I received a hardcover version from the publisher at the Public Library Association Conference in Philadelphia in March. Clicking on the book title will take you to the GoodReads summary. 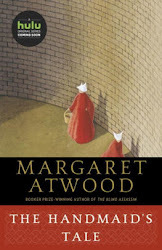 I'm reading this book for an upcoming book club discussion and am really enjoying it. Hannah captures the wild beauty, harsh weather, and isolating remoteness of Alaska in her story about a troubled family and a quirky group of rugged individuals living off the grid. This Friday Focus post was originally written and/or compiled and published by Catherine for bookclublibrarian.com. It cannot be republished without attribution. Retweeting and sharing of this original post on Google+ are appreciated. Congratulations on getting the book from the publisher. It looks good (I'm a sucker for a strong setting). Hope your technical glitches are solved soon. This one looks interesting. I hope you enjoy it! I've got this one to try perhaps this summer. Will be curious to hear what you think about it. I've read other books by this author, but it has been a while. Sorry to hear you're having troubles posting. IT does look like a good read! Happy weekend! I loved this book! I hope your posting problems get sorted. Thanks for visiting my blog. I have seen many good reviews of this book, I hope you enjoy it!! I've seen all sorts of good things about this book. I hope you and your book club have a wonderful discussion. This week I am reading Harry Potter and the Cursed Child which has been on TBR mountain for quite a while. Happy reading! I have reader-friends who are always looking for books that are set in harsh conditions. I may have to recommend The Great Alone to them and see what they think. Happy reading! I like books where the town or the weather act as a secondary character in the story. I read The Great Alone and really enjoyed it, despite some trigger moments I skimmed through. It's a long one (overlong?) that could've been trimmed a few pages and still hold our attention. I really want to read this book and really anything by this author! I love the sound of it and am glad you're enjoying it!